It is an application for the game lovers to provide them with the real Android experience on their PC. With MEmu, you can expect, flexible customization of all the hardware components of your computer including the CPU, memory size and the root mode. MEmu allows you to incorporate joystick or keyboard in playing your games to give you the feel of the real gaming experience. It also has GPS location simulation along with the facility of generating intuitive gaming experience for the users. Through this emulator, you can share the files between Windows and Android operating systems without any difficulty. Android system creation through Memu is not a long process. With just one click, you can create, delete or clone the Windows system. Apart from the gaming experience, you can also have an improved chat experience. Additionally, watching movies or videos at a bigger screen is also possible with Memu. The connection process of MEmu is not long. It just takes 10 seconds for the application to be available for use. So, you can an improved experience while managing all your activities. 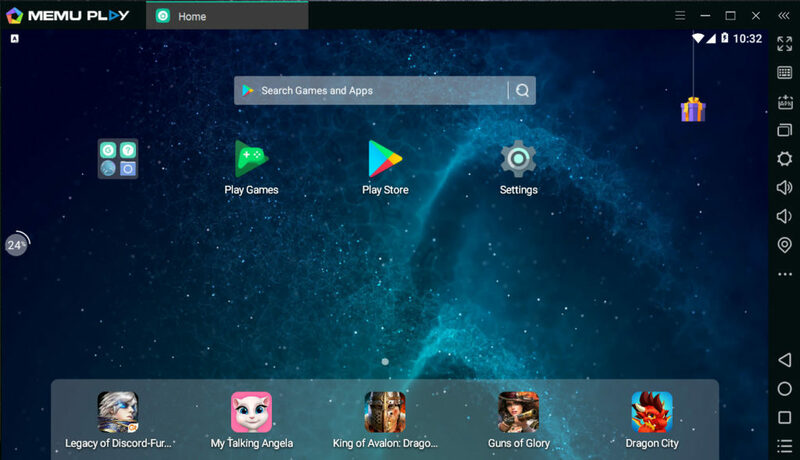 MEmu can allow you to convert your Android gaming experience to the bigger screen.